Posted on Sat, 2019-04-13 22:25. Posted on Mon, 2019-04-15 10:13. Hi Emil & Heba, thank you for your questions. 1 – The PV101 course is open to all candidates, even those without an electric background. 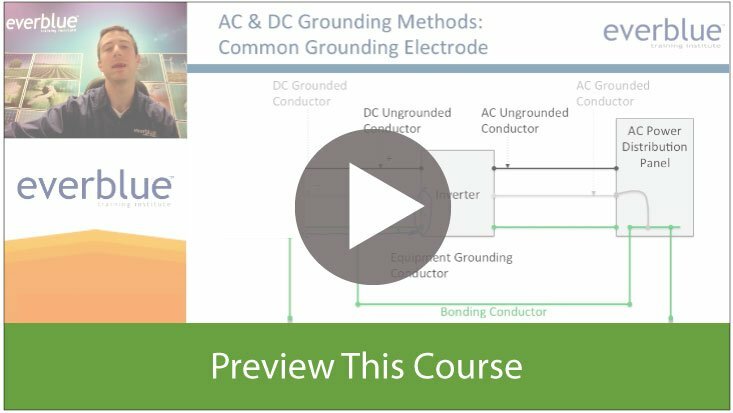 This course is entry-level, so it will introduce electricity concepts. You do not need to acquire a certification in electricity to be qualified to take this course. The PV101 course is actually the best place for beginners. 2 – Yes, the PV101 online course offers a comprehensive overview of the content that will be on the NABCEP PV Associate exam. In fact, the PV101 course is approved by NABCEP to qualify candidates to take the PV Associate exam. Our students report a 90% pass rate on the NABCEP PV Associate exam after taking the PV101 course. 3 – Yes, we welcome candidates from all locations to take the PV101 course. Because the course is completely online, you can access the materials from anywhere in the world, as long as you have a secure Internet connection. We do not limit participation by location. All are welcome! 4 – The course fee does include the cost of all course materials. However, all course materials are digital and can only be accessed from within our secure online learning platform. You may purchase hard-copy materials for $49.99 (plus an international shipping fee). To purchase hard-copy materials, please call us at 800-460-2575. Otherwise, all electronic course materials come included with the PV101 course. 5 – You will have 6 months to complete the program. You will be able to log in any time 24/7 to access the materials during that time. If you are unable to finish the program in 6 months, you may purchase a 30-day course extension fee for $50. There is a countdown timer inside the course that will alert you to how much time is left in your course. There is also a link to purchase the course extension from inside the course as well. Thanks again for your questions. I'll be sending you a separate email with these answers. If you have any other questions, please don't hesitate to respond to my email or call us at 800-460-2575. Thanks! Posted on Wed, 2018-11-28 14:20. We want to add solar installation as a turnkey service for our company. Can you assist with helping us setup training, etc. for that effort? Posted on Thu, 2018-11-29 10:25. We can absolutely assist with training your team on solar energy and providing guidance on how you can add solar to your business plan. Everblue offers its solar training program online and in several locations across the United States. We have been in business since 2008 and have taught more than 70,000 individuals worldwide. Our solar curriculum is accredited by the Interstate Renewable Energy Council (IREC), and we are an approved training provider for the North American Board of Certified Energy Practitioners (NABCEP). Our solar training courses can be purchased individually or as a complete package. We also offer on-site corporate training for groups of 8 or more as well as custom curriculum development, so whatever you and your team need, we can help you out! I'll be sending you a separate email so we can continue this conversation. You can also give us a call at 877-959-3806. Looking forward to working with you! Posted on Wed, 2018-10-31 23:52. 1. The PV system electrical design module under the PV 101 caught my attention, specifically the inclusion of training in the preparation of one line diagrams. How do we go from your training curriculum to generating permit ready designs?, what design software will this teach us? will training include the use of any cad programs ? Posted on Fri, 2018-11-02 09:30. Thanks for your questions. The curriculum in this course (PV101 Solar Fundamentals) aligns with the Job Task Analysis provided by the North American Board of Certified Energy Practitioners (NABCEP). 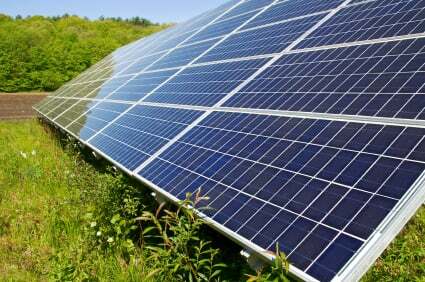 In other words, these topics have been identified as core concepts related to solar energy and would serve as a strong introduction to a solar job role. To truly get into permit-ready solar system designs, I would recommend that you complete the prerequisite PV101 course as well as our advanced PV202 Solar Design training. PV202 is where we spend more time focusing on the intricacies of solar PV systems and associated designs/calculations. There is a section about securing permits and approvals, as well. During the PV202 course, we reference several tools and resources for working in the solar design industry, including PVsyst and PV_Lib. For more information about the PV101 and PV202 solar courses, please give us a call at 877-749-9481. Thanks! Posted on Fri, 2018-10-26 15:04. Posted on Mon, 2018-10-29 11:08. Thanks for your message, and congratulations on earning the training scholarship from ASU! That’s wonderful that you’re interested in learning new things. That’s a quality we certainly appreciate here! As far as paying for an Everblue course with your scholarship, I would suggest asking the ASU financial office whether they will approve our course. We do not offer semester-based degree programs. Instead, we specialize in short-course professional development, continuing education, and vocational trade classes. That said, the PV101 Solar Fundamentals course is a self-paced online class with 18 hours of curriculum. The cost of the single course is $599. You will gain instant access as soon as you enroll and will be able to log in and participate anytime from anywhere for 6 months. Quite honestly, I don’t think the technology fee and parking permit will be necessary, since this course is 100% online and therefore can be accessed from home with a computer that has a secure Internet connection. If you’d like to apply your scholarship toward our training, please call us at 877-958-8130 so we can talk about the logistics of placing your order. Hope to hear from you soon! Posted on Wed, 2018-07-04 06:49. Posted on Wed, 2018-07-04 09:42. Thanks for visiting our site and checking out our programs. Everblue is founded by Veterans, and we love to assist other veterans in pursuing their goals! We actually offer a 10% military discount to those who provide a valid DD214, so if you want to go that route, you can send the documentation to info@everbluetraining.com and we can get you set up with the training at the reduced rate. You’ll also see on our website, in general, that we offer payment plans and financing for flexibility. As far as state funding is concerned, you should check out the Department of Energy’s Solar Ready Vets program. This program is specifically designed for military veterans who are transitioning into the workforce, and the tuition is largely covered. Students participate in 2 weeks of hands-on solar training and conclude the course with a certification exam that can help give them a foot-in-the-door to solar jobs. I believe only 10 military bases across the country are offering the Solar Ready Vets program. We actually work with Fayetteville Technical Community College in Fayetteville, NC to deliver this program in conjunction with Fort Bragg. Another avenue you might consider is visiting a Career OneStop center to discuss grant funding. You can find your nearest center at www.careeronestop.org. We invite anyone to take our courses, regardless of occupation or background, so you are welcome to attend! While we do not provide or manage grant funding, hopefully the above payment options and resources will be able to assist you and your friend. I’m not aware of any specific grants for folks 60 or older, but it’s very possible that the Career OneStop center will know more about that. As far as pass rates on the certification exams, the North American Board of Certified Energy Practitioners (NABCEP) does not release pass rates for its advanced certification exams, but they have shared that we have a 90% pass rate among our participants on the entry-level NABCEP PV Associate exam (which is largely a required first step for anyone getting into the solar workforce). Posted on Wed, 2018-06-13 06:52. Posted on Wed, 2018-06-13 09:32. Hi Ahmed, thanks for your great questions! When you complete the Everblue solar training course online, you will receive a certificate of completion. The certificate does not explicitly state that the training was online, but it does include your name, the course enrolled, the corresponding continuing education approvals, and more. To qualify for the certificate of completion, you will need to complete each video presentation in the course and receive a passing score of at least 80% on each of the module quizzes. To receive your certificate of completion, you will need to submit a request to our customer service team, who will verify your completion of the previously stated activities. They will then email you a PDF version of the certificate that you can then download and/or print out. Thanks again for your questions. We look forward to assisting you with your goals! Posted on Thu, 2018-05-31 12:53. I like to get into the solar panels industry, do you have a job job placement program ? Posted on Fri, 2018-06-01 09:33. Hi! Thanks for your message. While Everblue does not offer a formal job placement program, we do have relationships with many employers across the country. Check out our Job Board to see some of our employer partners: https://www.everbluetraining.com/hiring/job-board. You'll also see the option to subscribe to receive job alerts. Oftentimes, employers reach out to us to hire our graduates. Due to privacy law, we are unable to share our student's contact information with third parties, so what we do to connect students and employers is to e-mail out the job posting to students on our email newsletter. This way, you can decide if you're interested in the job opportunity and can reach out directly to the employer. Let us know if you have any further questions! Posted on Sat, 2018-03-03 15:22. So the online training sounds nice, but what about hands on training? Are there apprenticeships available for solar installation? If so, where should I start looking for them? Posted on Mon, 2018-03-12 10:30. Hi Eric, thanks for your question. The online-only class you were viewing is our beginner-level class where you learn the fundamentals of solar energy. Our next-level class does offer hands-on solar installation training. See here: https://www.everbluetraining.com/renewable-energy-training/solar-training-courses/solar-pv-design-installation. As far as apprenticeships and on-the-job-experience, we've identified our top 10 places to find solar work experience here: https://www.everbluetraining.com/blog/how-find-job-solar. To chat more about how we can help you learn solar skills, please give us a call at 877-754-9041. We look forward to working with you to achieve your goals! Hello. i am interested in getting the 40 hours required to sit for the Full NABCEP exam, not the entry level one. I currently have my OSHA 30 hour cert, so that gives me 18 of the 54 required hours. I have also been an electrician for 13 years and have over 250 installations completed as the lead installer. Will this 40 hour training count as the 40 hours required to sit for the exam? Given your experience, our 40-hour Advanced Solar Installation Training course will go towards your required 58 training hours to make you eligible to take the NABCEP PV Installer Exam. Hello JPierre and thank you for your question! Our Solar Design & Sales course is a fantastic course to learn the fundamentals you'll need to sell solar panels. As for funding, you will be emailed information on how to apply for funding through the WIA. This funding is targeted to those who are unemployed. Is there a grant you can avail to take this class? Posted on Wed, 2018-11-21 20:50.
retired 12/31/2017 but not ready. Funds are limited, unable to afford costs of course. Tell me about The Solar Training Grants. Posted on Fri, 2018-11-23 10:29. Hello, thank you for your question about solar training grants. While we do not sponsor or offer any grants in particular, Everblue is happy to accept any grant money that you procure. I would recommend that you contact your local OneStop Career Center to see if you can get assistance applying for grants or other programs. In terms of our payment options, we have two types of payment plans available. • Everblue Payment Plan (informal) – you make a down payment to reserve your seat in the course and pay on the balance at your convenience. However, you will not gain access to any course content until you are paid in full. • Financing (formal) – we have partnered with a financial lender called Affirm. With this option, you choose Affirm as your payment method during checkout. Affirm will run a soft credit check to verify whether you are eligible to split the training fee into 3, 6, or 12 fixed monthly payments with 10-30% APR. You will gain instant access to course content when you choose this option. Thanks again for your interest in PV101 Solar Fundamentals course. Please let us know if you have any other questions. Hello Benny and thank you for your question. There may be opportunities depending on where you are located. I would recommend visiting your local one stop career center to see if there are grants available in your jurisdiction. Do I need electrical experience before I become certified, or installer, or designer? Hello Tunde and thank you for your question. You are not required to have electrical experience to take any of Everblue's training or take the NABCEP exams we prepare you for. While it can be beneficial to have this experience, most solar professionals work alongside a seasoned electriction to ensure solar systems are inplemented safely. Hello Talmage and thank you for your question. Everblue's solar training curriculum is accredited by IREC (Interstate Renewable Energy Council), which is one of the approved boards for NABCEP Certification. Everblue typically does not transfer credits since our courses are fairly short, but should you like to discuss this, please call us at 800 460 2575. Hi, if ever I take the online Solar PV Associate course. Am I allowed to take the NABCEP PV Entry level Exam? Hello Richard and thank you for your question. Should you take the Solar PV Associate course you will not only be eligible for the NABCEP PV Associate exam but very prepared!